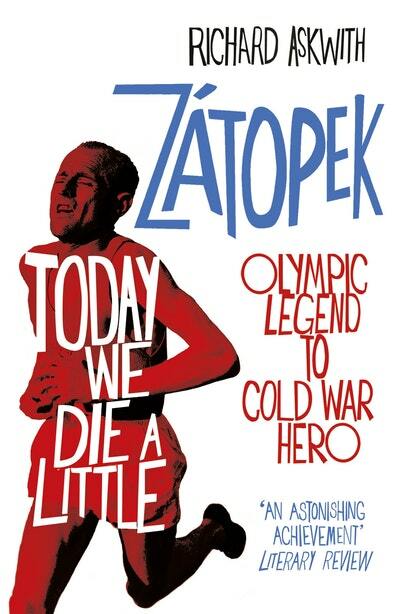 LONGLISTED FOR THE WILLIAM HILL SPORTS BOOK OF THE YEAR AWARD SHORTLISTED FOR THE CROSS SPORTS BOOK AWARDS BIOGRAPHY OF THE YEAR The definitive biography of one of the greatest, most extraordinary runners and Olympic heroes of all time. The definitive biography of one of the greatest, most extraordinary runners and Olympic heroes of all time, from the author of running classic Feet in the Clouds. Emil Zátopek won five Olympic medals, set 18 world records, and went undefeated over 10,000 metres for six years. He redefined the boundaries of endurance, training in Army boots, in snow, in sand, in darkness. But his toughness was matched by a spirit of friendship and a joie de vivre that transcended the darkest days of the Cold War. His triumphs put his country on the map, yet when Soviet tanks moved in to crush Czechoslovakia’s new freedoms in 1968, Zátopek paid a heavy personal price for his brave defence of ‘socialism with a human face’. Rehabilitated two decades later, he was a shadow of the man he had been – and the world had all but forgotten him. Today We Die A Little strips away the myths to tell the complex and deeply moving story of the most inspiring Olympic hero of them all. Love Today We Die a Little? Subscribe to Read More to find out about similar books.